Packing to go anywhere is always a challenge but I’d have to say that packing for the UK proves to be the biggest challenge of all. 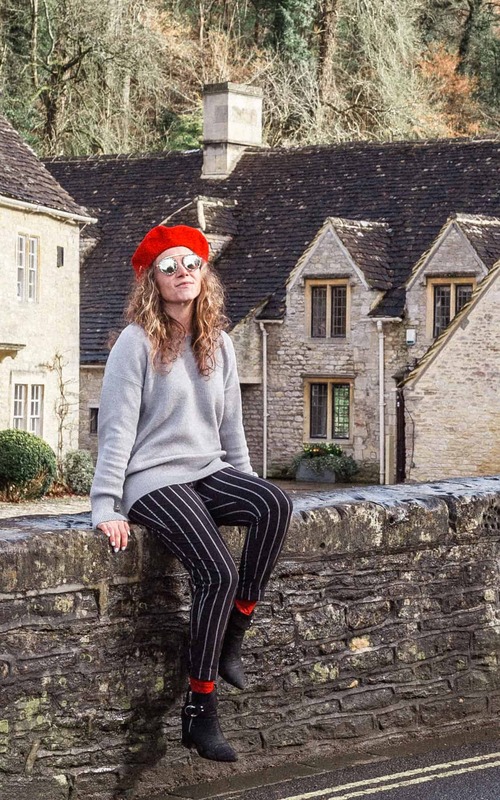 I’ve had a bad record with under-packing; our road trip to Ireland was proof of that. I packed all wrong for that trip: summer dresses and short sleeves when I should’ve packed a thick coat and knee high boots. 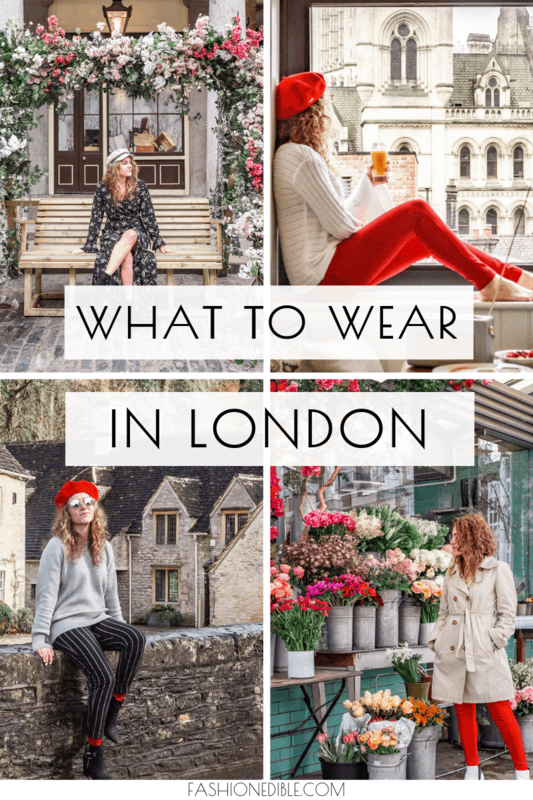 I wanted to avoid a redo of that mistake so I obsessively looked at the weather and what Londoners were wearing on Instagram to determine what to bring. 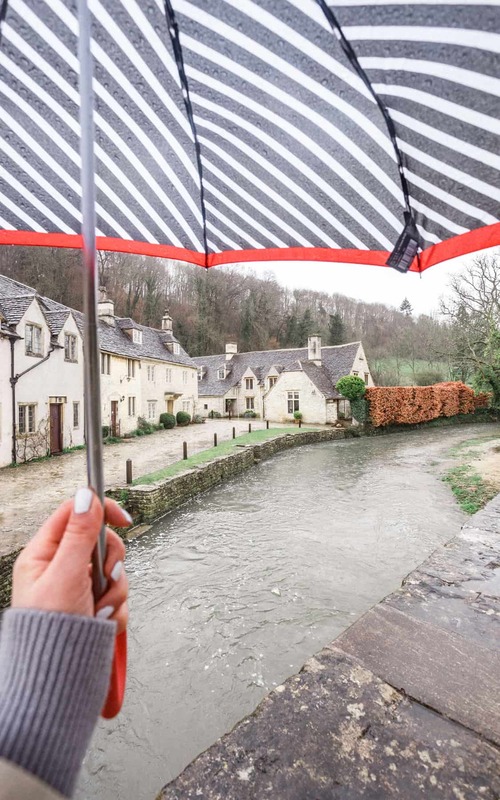 Thankfully, overall, I felt well-prepared for the crazy weather in London in March because of a few key items that I brought along. 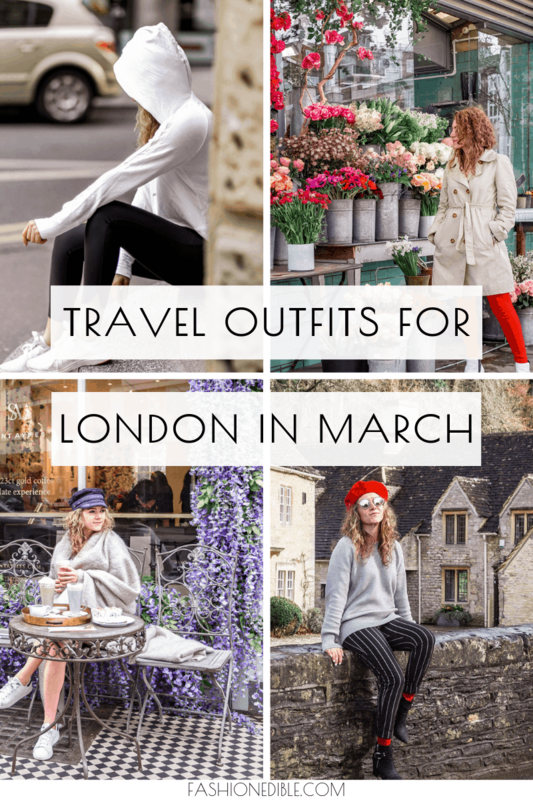 So I’ve written up this packing guide that I’m hoping will help you as you pull together your suitcase for your next trip to London. 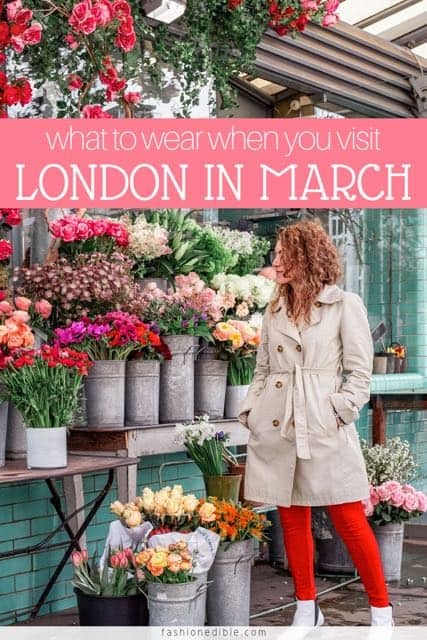 And if you’re looking for more help in planning your trip to London, you may want to brush up on British culture and traditions. I’d suggest bringing one or two warm sweaters. I knew I would wear mine at least once but I didn’t count on just how often I reached for them. My Canada Goose sweater (left) was perfect and did such a nice job keeping me warm during the rainy, chilly weather because it was made of 100% wool. I would recommend packing the same: one wool sweater and then an alternate light sweater like the one on the right. While I would keep all your short summer dresses at home, I would recommend bringing one or two maxi dresses in case the weather is sunny and warm. You can bring tights for extra warmth in case the weather never warms up. 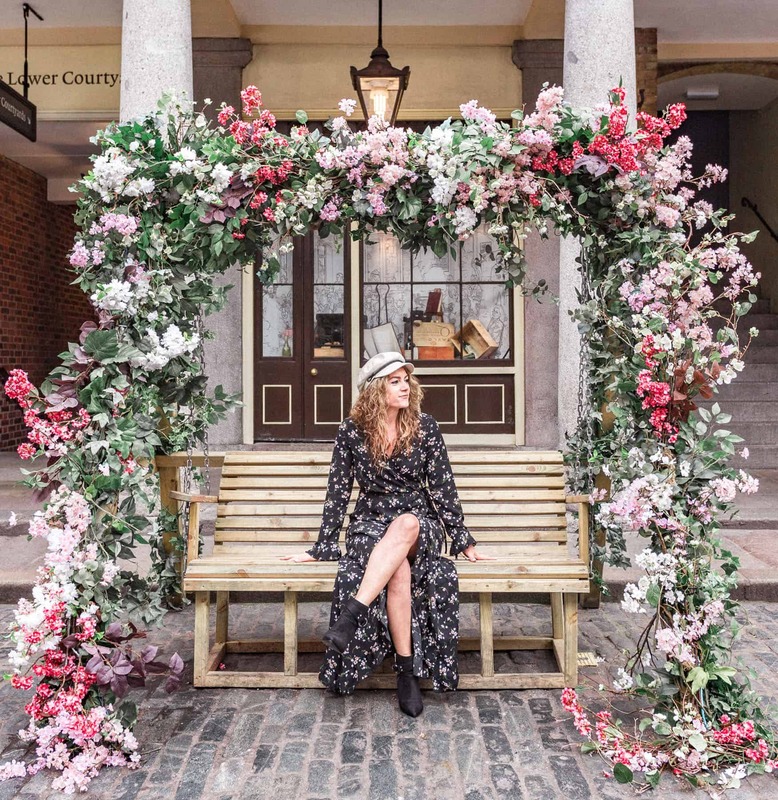 Maxi dresses make great photo props in all of London’s floral displays. 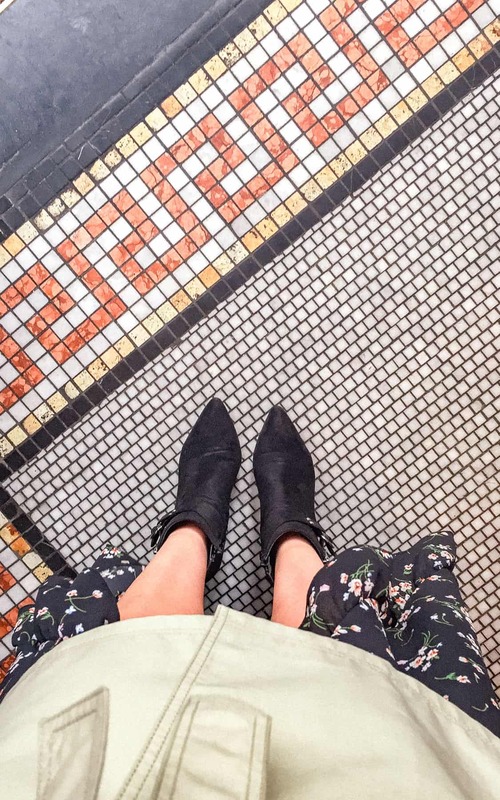 Ankle boots are a lifesaver when you’re touring London. They come in handy because not only are they warm during chilly weather but they also protect your feet from puddles and rain. Plan on your shoes becoming very wet. **Ankle boots here and white ones above here. 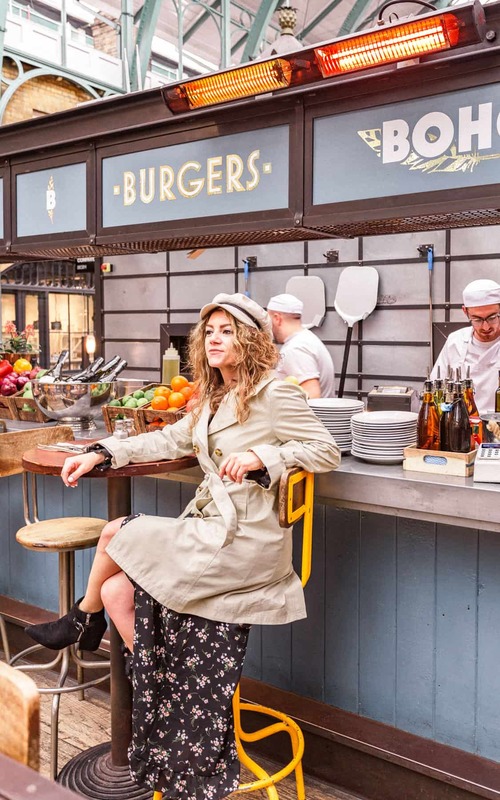 Hats serve two purposes: they look cute in photos and they give you a little bit of warmth as you’re walking around. Also, this should probably be packing tip #1 but an umbrella is an absolute must if you’re visiting London. It rains randomly and without warning so it’s nice to have one handy at all times. 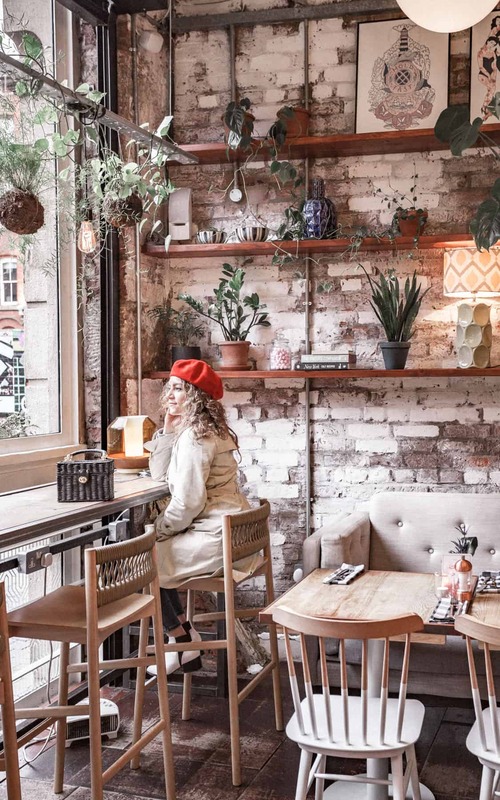 If you’re like me and you take photos of your accessories, then be sure to also pack a cute bag because London is full of latte art and coffee shops. I’d suggest either a wool coat or a trench coat. I went with a trench because I didn’t want to lug around a thick coat and I wanted something that would do well in the rain. I saw a lot of Londoners out with puffer jackets and wool coats so you’d be safe packing those as well. 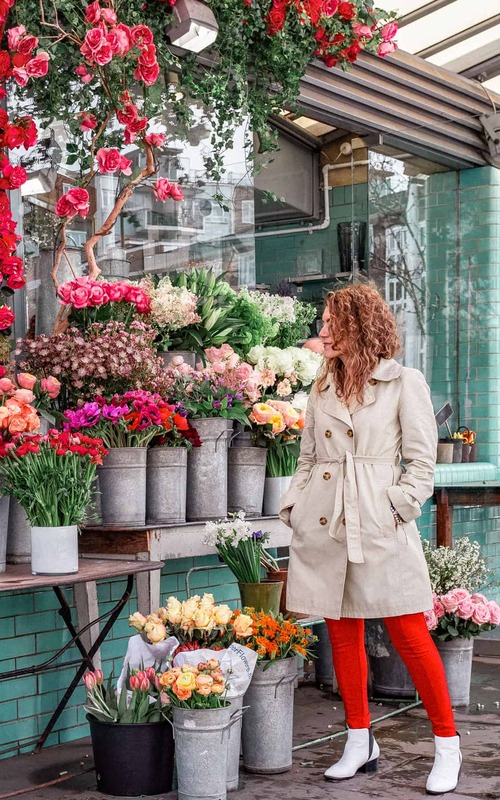 A trench or puffer is convenient because they’re lightweight and you can easily layer under them while a wool coat does tend to overheat if the sun comes out. 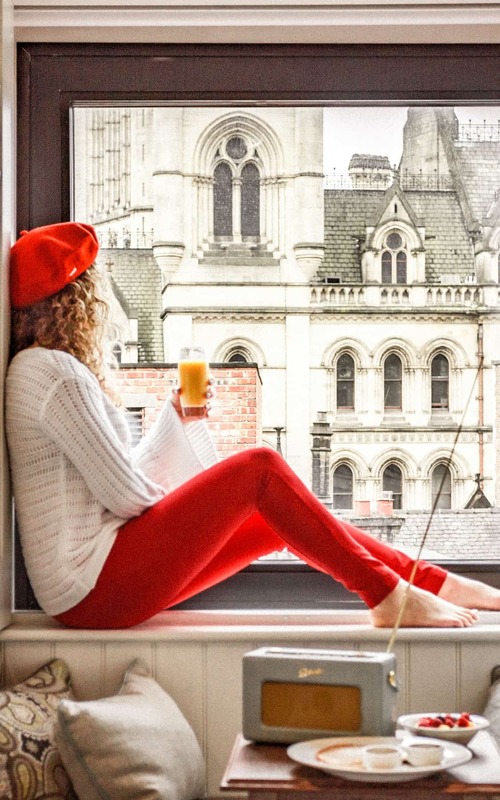 You’ll want to pack a few travel pants for your trip whether they’re quick drying Anatomie travel pants or jeans. 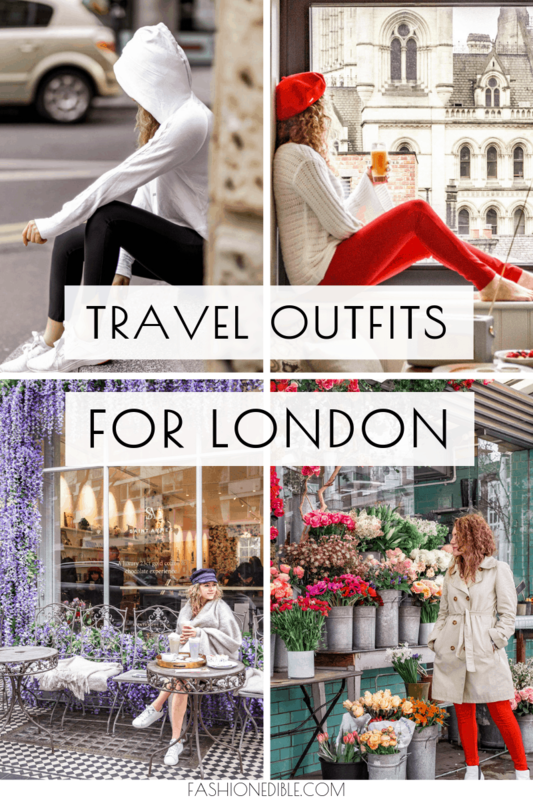 I always like to bring at least 2 pairs when I travel and I would highly recommend that number for London as it rains so often that you’ll want to have a dry pair on hand at all times. 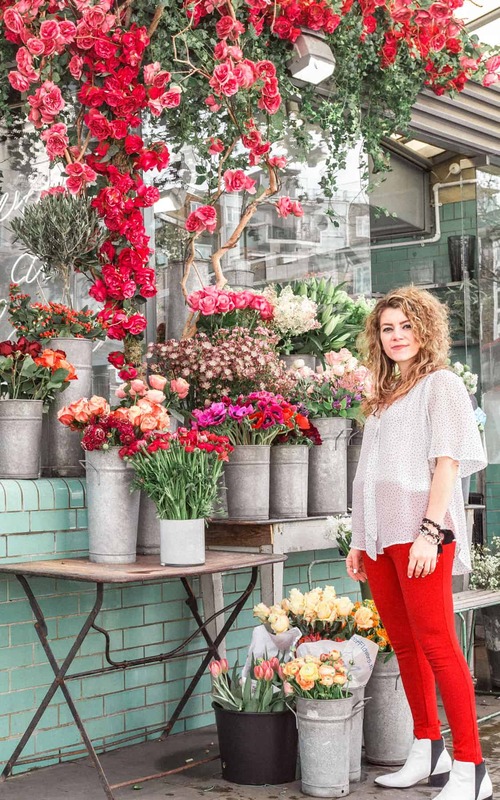 Make sure you check out these Cool things to do in London!